There are 3 ways to Customize 404 page. Customize 404 page with HTML, PHP etc. Customize the page according to your need. If you have problem in coding then you can simply use shortcodes to customize your page. 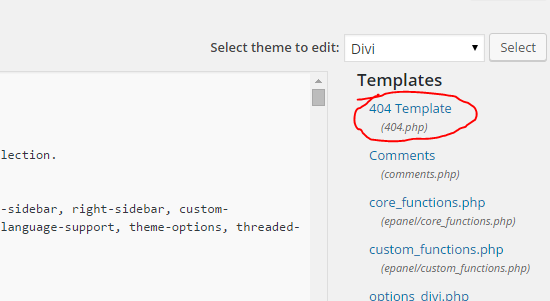 Open 404 template(404.php) and paste the shortcode here. Select the customized page from dropdown and save the changes. First method is little tough because it needs some technical skills and knowledge of HTML, PHP etc. But second and third methods are easy to understand and implement.